Elaborazione: MaximDL5, Astroart6, Paint Shop Pro X9 e Topaz e Nik plug-in. Canon EOS 5D Mark IV, Sigma Art 50mm, iPano Robotic pano-head. Made from 56 images shot in a grid with 60% overlap on each. The RAW files were developed in Lightroom, then stitched with Autopano Giga, final adjustments in Photoshop. This is a first light image taken from my new Canon 6D, single image 20sec, ISO 3200 on a tripod. Super impressed with the results. I haven't done any DSLR shots for over 10 years! A recent 5 hours LRGB with ASA40 of Chilescope. Mammatus clouds over Cap Ferret church / Arcachon basin in the South of France. Mars on July 1st, 06:32ut. Engulfed in the dust storm Valles Marineris (L-Cntr), Acidalia Planitia (Top) and Terra Meridani (R). Planet and Moon fitted on the field of the camera. Only one shot. Saturn... very tiny on the left. Last edited by bystander on Wed Jul 04, 2018 2:05 pm, edited 1 time in total. 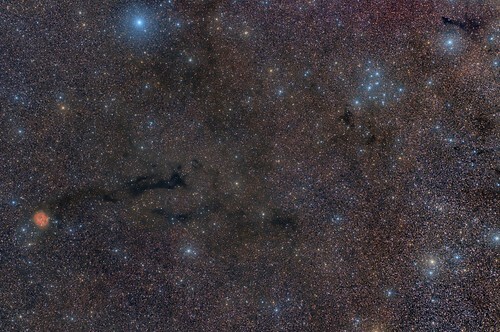 An image well suffered, were 2 nights in clear to take this image, picture held between clouds and open sky. When you process an image of this that in the background you see, yes it was worth it, I consider it your other name, for the fight that was image. Its other name is Nebulsa War and Peace, name given by the scientists of the Experimental Space Center because of its appearance. They said that in infrared images the western part resembles a dove, while the eastern part looks like a skull. Canon 350D, 55/3.5@18, 4x10s, ISO200. Last edited by Ed_Vazhorov on Fri Jul 06, 2018 10:11 am, edited 1 time in total. Taken at Mt Baw Baw Alpine VIllage, Victoria, Australia, 4 July 2018, Olympus XZ-1, 6-24mm at 6mm (EFL 26mm), f/1.8, ISO-1600, 25 sec. The camera has a 1/1.63" CCD sensor which is 1/19th the area of a Canon full frame sensor. A pleasing result for a little point and shoot camera. Last edited by SteveJ on Fri Jul 06, 2018 6:29 pm, edited 1 time in total. is actually a cocoon of gas, dust and newly formed stars. This image shows that the wall is eroded and illuminated by bright young stars, and partially obscured by the dark dust they created. 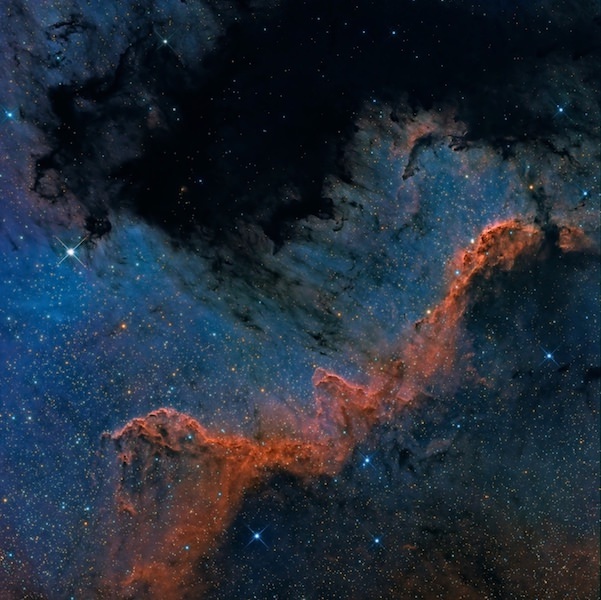 This wall extends for about 15 light-years and is about 1500 light-years away from us in the constellation Cygnus. What would a region of the Universe without a star look like? 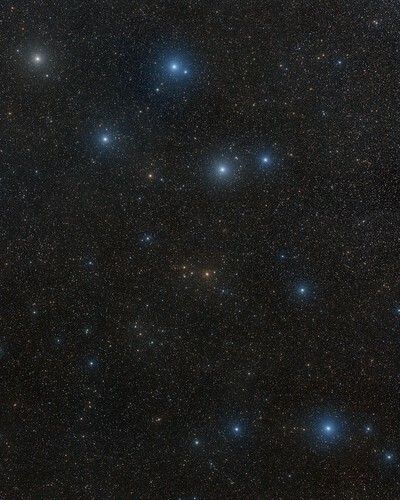 It would look like this image made with my ASA telescope and, using to the computer software, I was able to remove all the stars. 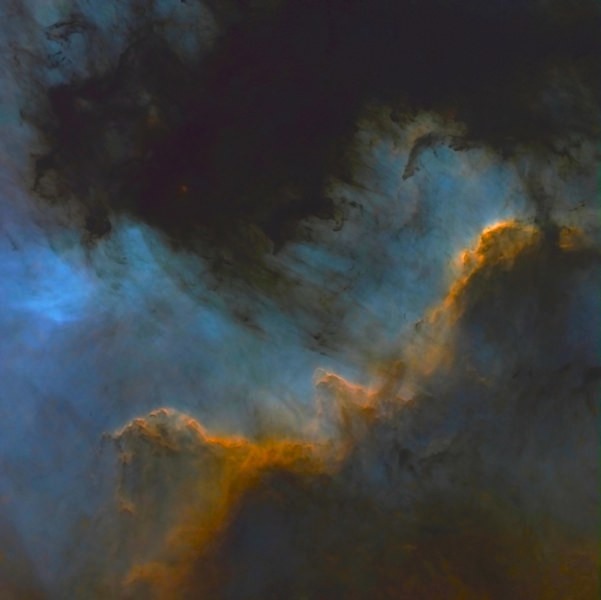 Cosmic painting that may have led to the belief of a master builder using watercolor as a painting technique. This image represents the Cygnus wall. A region rich in star formation located 1500 light-years away from us. I love those pictures, particularly the annotated one! This patch of sky is so interesting and so rarely photographed, let alone annotated. Thank you! 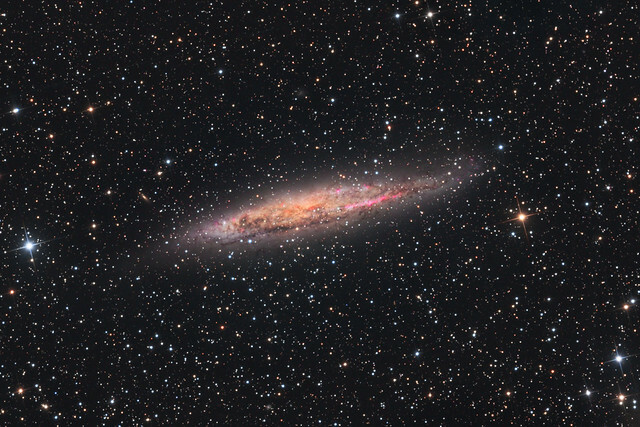 This is NGC 4945, a large barred spiral galaxy located in the constellation Centaurus. It is the second brightest galaxy in the subgroup centred on Centaurus-A, with an apparent magnitude of 9.3, and has an apparent size of 20’.0 X 3’.8. It is almost the size of our own Milky Way Galaxy. Both X-Ray and infrared observations have shown unusual high energetic emissions and star formation at its core. It is believed that it may house a supermassive black hole. 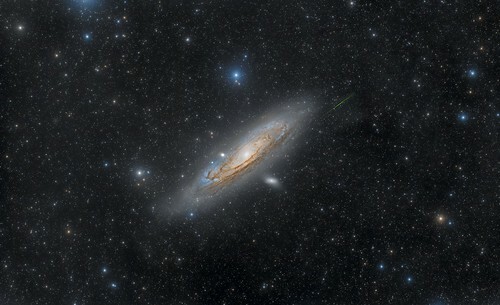 This past night I set out to shoot M31. At the end of the session I could see in one of the RAWS the trace of a bolido. I have rescued a previous work to be able to integrate it into this little field.